Freya Stark says ‘To awaken quite alone in a strange town is one of the pleasantest sensations in the world.’ One cannot possibly ignore the romance associated with travelling alone, exploring new and wonderful places and experiencing the unknown. But when you are in a foreign land or town; it is always better to know certain dos and don’ts to ensure a safe and secure travel. 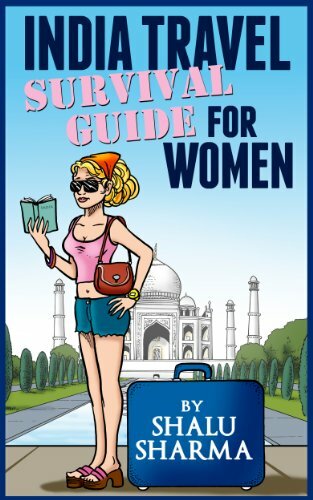 While travelling to India alone especially for a female, the key is to dress modestly and avoid travelling at nights in taxis, auto rickshaws unless in cities. In that too certain cities like Delhi are not the safest in the world at night especially for Women, hence avoid any sojourn at night alone. While travelling always opt for pre-paid services wherever available like cabs or autos; that way you could be sure of your safety to a certain extent. When travelling alone in India be sure to stay in reputed hotels. The reviews on various travel sites could be of help to ascertain that you pick the right hotel. Hiking alone is a strict no-no especially for women. It goes without saying do not trust strangers, which in your case would be everybody and never accept food from an unknown person; a polite no is always better than taking the risk of being dazed and looted. 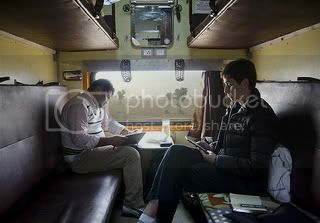 While travelling India alone it is better to keep a mobile with you, with balance. Also note down the hotel and local police numbers for emergencies. You could get all the details from the hotel you would be staying in. Now the most important part for a woman traveller, especially travelling alone in India; long skirts and trousers with full sleeve blouses or sleeveless blouses teamed with scarves or stoles would be the preferable option to dress. This would ensure unwanted and irritating stares. The next important thing when travelling India alone to keep in mind is your money, credit cards and your passport. Be sure to keep them safely and not all in one place. Keep Xerox copies of your passport just in case you end up being the victim of a tout or a pickpocket. Always be alert to keep your belongings safe. Another worry might be falling sick when out alone for a vacation. To avoid this always drink bottled water of brands like Bisleri or Aquafina. Try and stay away from street food; instead always eat at restaurants. Indian palate consists of spicy food so be sure to eat what suits you and your metabolism. Believe me you do not want to fall sick in a foreign land alone. Bring along with yourself some basic medicines just in case of emergencies. In saying all that, it doesn’t mean that India in any way is less welcoming or safer than any other part of the world. When you visit a different country, the equations are always different; be it India or any other country in the world. However, it goes without saying that India and Indians are known all over the world for their hospitality. The locals will go out of the way to help you if you are in trouble and for the few who act differently, you could always follow the suggestions penned above. Always remember common sense is your best companion when travelling anywhere in the world. So come, visit and experience this wonderful country which believes in ‘Atithi Devo Bhavah’ which means ‘the guest is God’. Even if travelling India alone, it is still a safe country. 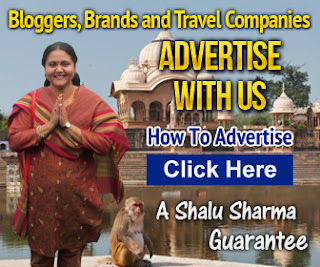 Thanks for the advice on Traveling in India Shalu. I would love to visit India ones, but never visited till now. Nice blog you have and thanks for commenting on my blog. Sure you are most welcome to India any time. I absolutely agree with you that woman should take all of the precautions you mentioned. it is dangerous for men too. I think no one can assume they are absolutely safe. We all need to be careful. On the other hand, it is good to help someone who truly needs help. Indeed David, it is dangerous not just for women but equally for men as well. India although relatively safe, its better to take necessary precautions. Hi Shalu, i visited your blog, i am impressed, keep it and keep adding value. excellent tips. yes, Delhi is not the safest place in the world but it would be wise to follow these advices in other cities as well. i agree with you, people go out of the way to help an outsider but unfortunately, because of few unscrupulous individuals they generalize Indians. having said that, there is no harm in taking precautions and being practical. I am particularly fond of Gujarat because of the economic progress it has made. Like the last comment. Not a typical Gujju then. my friend went all the way across India on a motorbike, I’m not sure I could do that! Hey Andy…I’m going there in July 😀 Join me 😀 And I’m serious! Hahah 😀 Cheers mate! Hi Andy, travelling on bike across a country is an amazing thing to do. Hi Suraj, you are welcome. Thank you for your comment. When i was reading the post, i got the feeling that travelling India alone in our country is not safe and full of risk specially for the women. Well, all the do’s and the don’ts should be followed strictly. However there is no need to fear. Our country is safe and i think you travelling India alone wont be a bad experience. 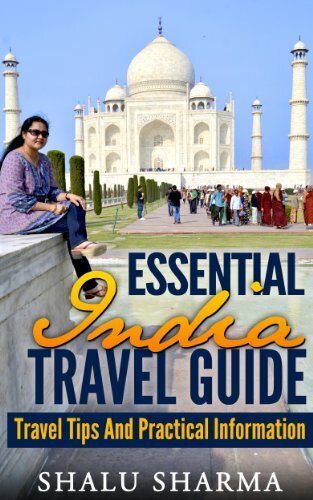 India in general is a relatively safe country to travel in but its not fool proof. There are stories of tourists being mugged and taken for a ride. One cannot be too safe. There are certain do’s and don’ts when travelling alone in India. But all in all, there is nothing to fear when travelling in India. The suggestion to drink bottled water is equally applicable to Indian tourists. Most of the health related problems are due to bad water. I think, people need to know a few important words in the local language before visiting India. It will be helpful for better (and faster) communication. Absolutely right on this. Water is one thing that can make you sick quite quickly. I have never been to India but it is one of the countries I would like to visit, at least once in my life. I particularly would like to visit Agra for its Taj Mahal, Assam for its temples, and other historical sites and temples. Although it is unlikely that I will travel alone, however, if I do, those you’ve mentioned are certainly worth taking not of. Definitely, you must come to India for a visit. Thanks for your comment. You have very nice blog….I like your header very much. It’s very great useful plugin.I want to to draft you this amount of word so as to give thanks as before concerning the fantastic basics you’ve documented here. 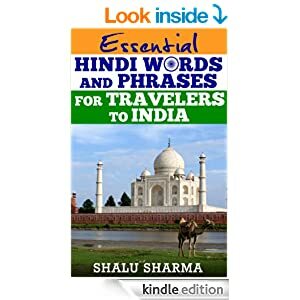 Yet another helpful post for people travelling to India. You are so right about being dazed and looted, many such cases are reported. But it is sad to mention that India has changed a lot from our ancient philosophy of “Atiti Devo Bhava”. Even Indians visiting a different city than their own, have to face many risks. I have never been to India but it is one of the countries I would like to visit, at least once in my life. I particularly would like to visit Agra for its Taj Mahal, Assam for its temples, and other historical sites and temples. thanks for shearing us great post. In business requirements, an individual has to travel alone often. So this article has been really helpful as it will give more information about travel security tips to be kept in mind especially if travelling from Western countries.